New York : Researchers led by an Indian-origin scientist are developing an affordable electronic nose that can be used in breath analysis for a wide range of health diagnosis. While devices that can conduct breath analysis exist, these are bulky and too costly for commercial use. “Smell is one of the senses of humans and animals, and there have been many efforts to build an electronic nose,” said Dr Navneet Sharma, lead author who recently defended his doctoral thesis at the University of Texas at Dallas. “We have demonstrated that you can build an affordable electronic nose that can sense many different kinds of smells. When you’re smelling something, you are detecting chemical molecules in the air. Similarly, an electronic nose detects chemical compounds using rotational spectroscopy,” Dr Sharma explained. The team that included Dr Kenneth O, Director of Texas Analog Center of Excellence (TxACE) at University of Texas Dallas, determined that using CMOS integrated circuits technology will make the electronic nose more affordable. 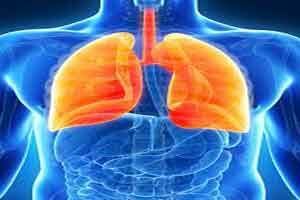 Breaths contain gases from the stomach and that come out of blood when it comes into contact with air in the lungs. The breath test is a blood test without taking blood samples. Breath contains information about practically every part of a human body. The electronic nose can detect gas molecules with more specificity and sensitivity than Breathalysers, which can confuse acetone for ethanol in the breath. The distinction is important, for example, for patients with Type 1 diabetes who have high concentrations of acetone in their breath. “If you think about the industry around sensors that emulate our senses, it’s huge,” said Dr. O. “Imaging applications, hearing devices, touch sensors what we are talking about here is developing a device that imitates another one of our sensing modalities and making it affordable and widely available,” he noted. The researchers envision the CMOS based device will first be used in industrial settings and then in doctors’ offices and hospitals. As the technology matures, they could become household devices. The new research was presented in a paper at the 2016 IEEE Symposia on VLSI Technology and Circuits in Honolulu, Hawaii.